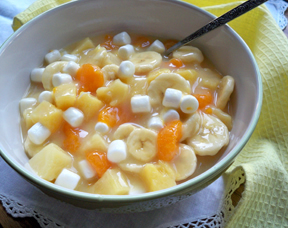 A fluffy fruit salad that is a must-have for every occasion. 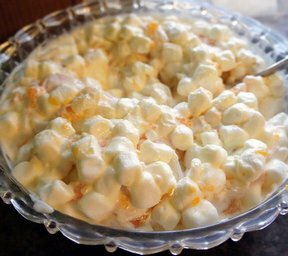 The mandarin oranges, pineapples and fruit cocktail are covered in a sweet glaze and mized with marshmallows and whipped topping for the perfect salad. "Do u use the jello tapioca cook and serve pudding?" 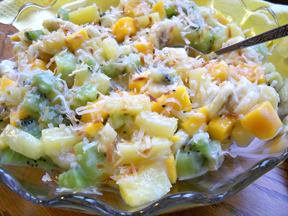 "I finally found the recipe my mom always makes. 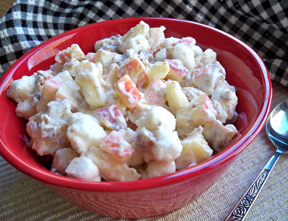 This was tasty and my in-laws loved it."